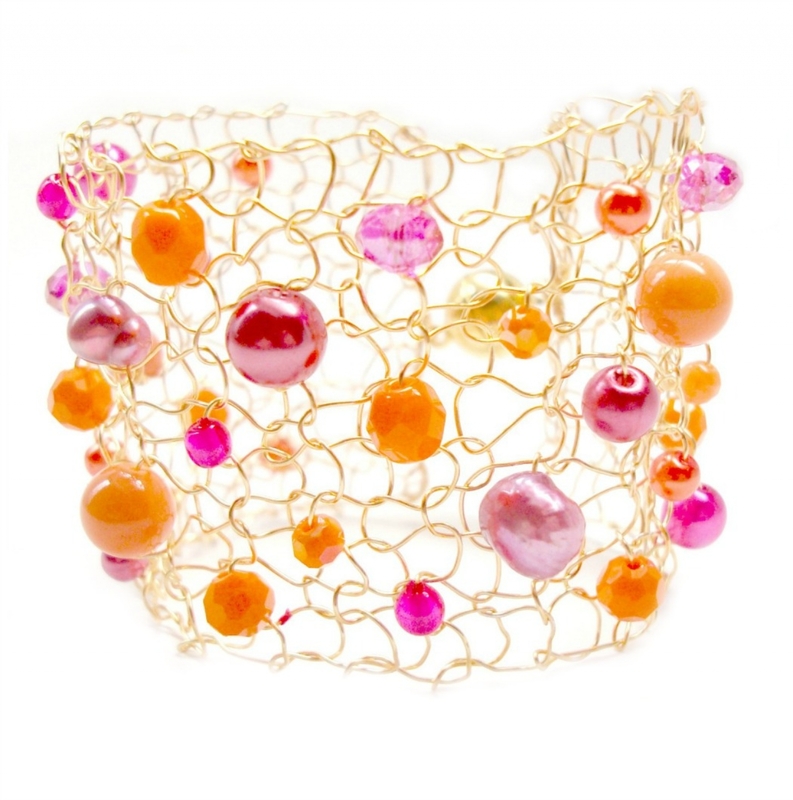 This gorgeous gold wire mesh cuff is sure to make a statement on the arm with bright colorful orange and hot pink pearls and crystals. Every piece of Lapisbeach is hand knit and no two cuffs are ever the same. Perfect gift for that person who has everything. Unique hand knit wearable art. Fabulous from day to night. 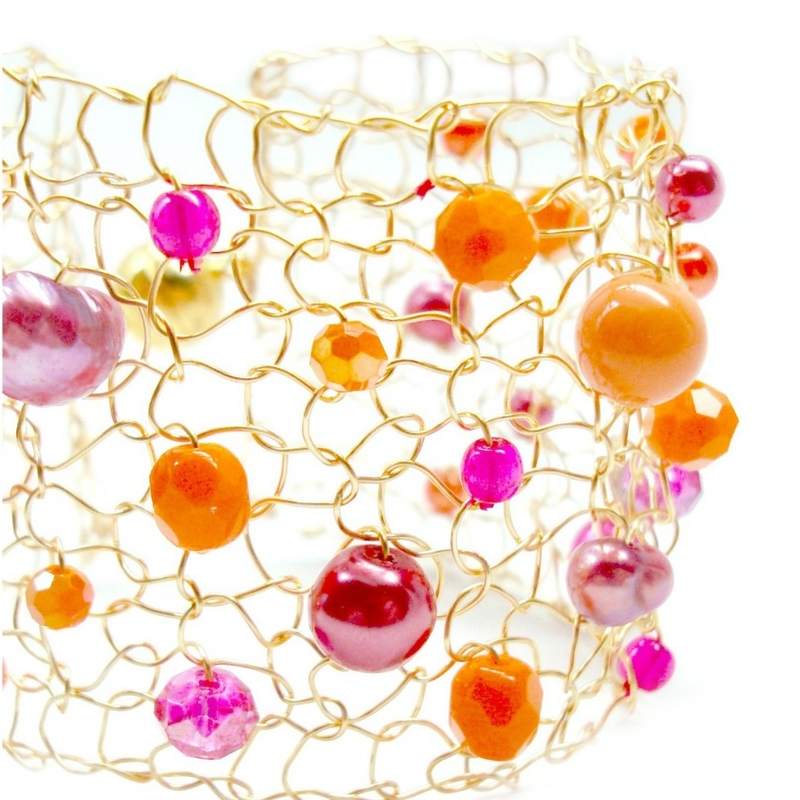 A Spring Summer accessory for that splash of orange or hot pink. This cuff is a medium width and measures about 1 1/2" in width and will be knit to specified wrist length. It is finished with a large strong magnet for convenience. 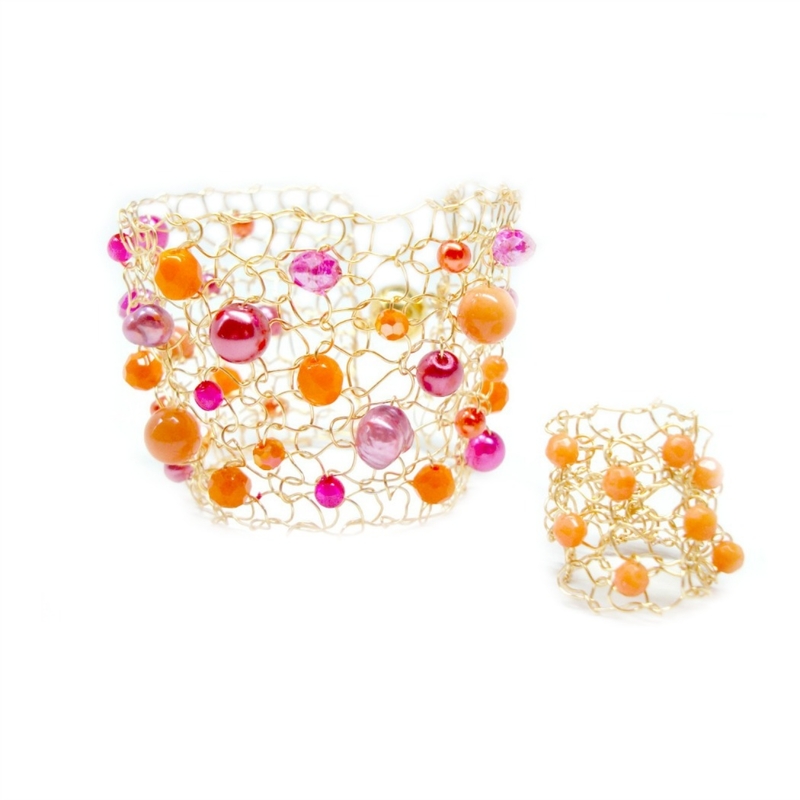 This listing is for the cuff only - you can find the matching gold and coral ring in my rings section. Please feel free to ask any questions & thanks for stopping by!